How likely is Pittsburgh to arm its school officers? 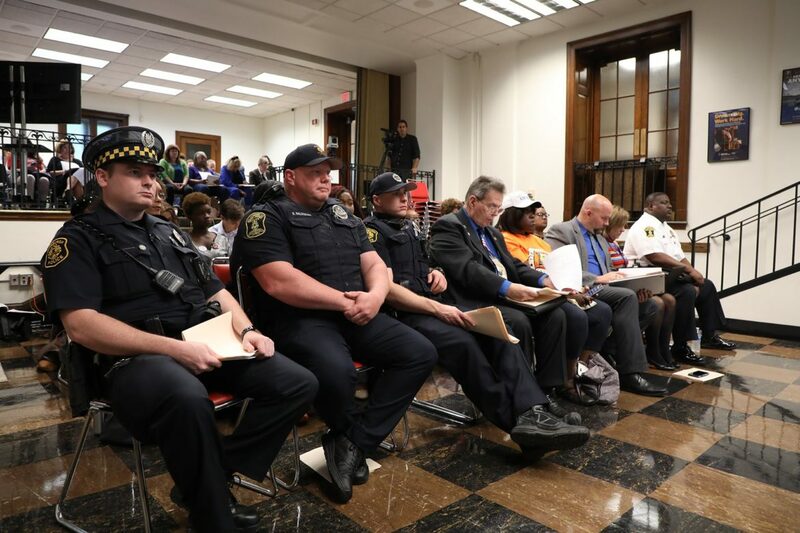 Pittsburgh Public Schools is debating a proposal to arm the officers who patrol district schools. 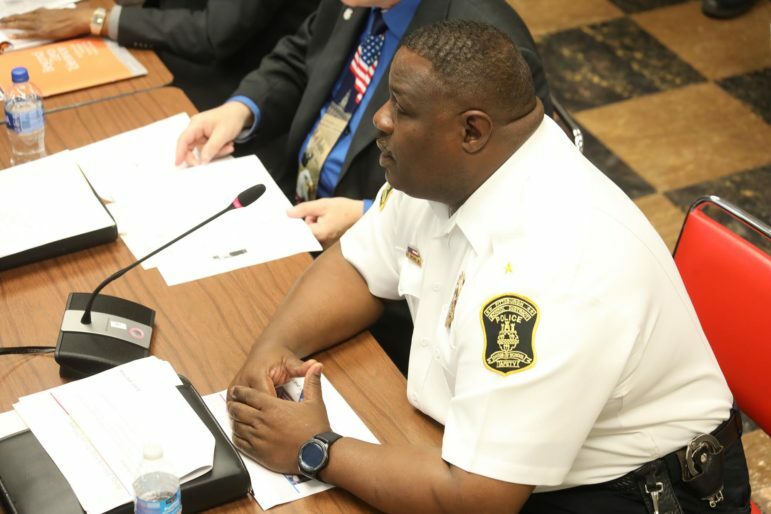 The district’s Chief of School Safety George Brown Jr. made the request to arm officers Monday night at the board policy committee meeting. The Pittsburgh Federation of Teachers, which represents the officers, supports the proposal. However, the proposal doesn’t appear to have the support of the majority of the school board, whose members expressed concerns about the safety of students — black students in particular — if officers were to carry guns. “We know who gets shot: students of color and students with IEPs,” said board member Moira Kaleida, who chaired the Monday meeting. The IEP reference is to individualized education plans provided for students with special needs. The district adopted the current school safety policy in 1997 to promote the safety and welfare of students while they are in school and while traveling to and from school and to keep district property safe. It does not authorize school police to carry firearms. A vote will be taken at the Oct. 24 board legislative meeting. Residents who want to speak on the issue can attend the board’s monthly public hearing at 6 p.m. Oct. 22; to get on the agenda to speak, instructions can be found on the district’s website. 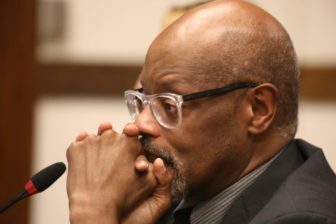 Brown cited a situation several years ago when shots were fired near a high school football game as well as school shootings and attacks in other districts as evidence that the district’s 22 officers need firearms to protect students and themselves. To bolster his case, Brown brought Pennsylvania gun rights activist Kim Stolfer to speak about school attacks. Stolfer referenced incidents such as the April 2014 stabbings of more than 20 students at Franklin Regional School District and the Feb. 14 shootings at Marjory Stoneman Douglas High School in Parkland, Fla. All of the Franklin Regional students survived, but 17 students and staff members were killed in Parkland. Both attacks were committed by a student. Not having guns puts both officers and students in danger, Stolfer maintained. He blamed school shootings on the fact that students are taking “SSRIs,” medications known as selective serotonin reuptake inhibitors. They are used to treat depression and anxiety. That comment evoked reactions from some audience and board members. “I personally am on an SSRI,” Kaleida said, questioning sarcastically whether that made her more prone to violence. She said the district embraces all students. She said “many of our children have to take something” and that “that’s OK” because the medications are prescribed by doctors. Harold Jordan, senior policy advocate for the Pennsylvania American Civil Liberties Union, countered Stolfer’s presentation. He said school violence is not reduced by arming police officers and that there is no particular profile of a school shooter. Jordan said he has sat on school safety committees both in Pennsylvania and nationally. “The best thing that we should be doing right now is to improve the quality and the amount of student support resources so there are better relationships between adults and young people,” Jordan said. There is a recognition among school districts locally and nationally that students of color and students with disabilities “are having much more contact with police [and] that the arrest rates are higher for those students,” Jordan said. 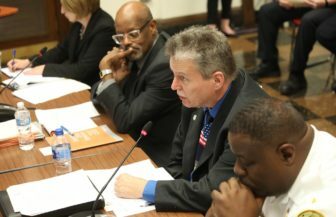 Districts locally and nationally are looking at ways to diffuse that disparity and, he said, arming school police is not part of the solution. “If you take the existing police that are in the schools and add a firearm, you are changing the school environment for the students. And that sends a very strong and negative message to the students,” Jordan said. Jordan and Kaleida referenced the high number of Pittsburgh students who are arrested by school police. PublicSource reported in 2017 on how hundreds of students are arrested in Pittsburgh Public Schools each year, with 80 percent of the arrests involving black students. Brown emphasized that he doesn’t want officers to use guns on students. He wants them to have firearms to stop “bad guys from three or four blocks up the street” from getting into the schools and causing harm. “We are not out to harm the kids. We want to keep them safe,” Brown said. Jordan said he thinks the solution is for school police departments to have cooperative agreements with municipal police departments. Holley, a retired teacher and principal in the Pittsburgh district, said when she was a principal and she called the Pittsburgh police, “they were there, Johnny on the spot.” She questioned Brown’s estimate that it takes city police six to 10 minutes to arrive when called because that was not her experience. “The city police officers are able to do what they need to do,” she said. In addition to Kaleida and Holley, school board members Kevin Carter, Lynda Wren, Sala Udin and Veronica Edwards indicated they opposed the proposal to arm officers. Board member Sylvia Wilson said she would express her opinion at the time of the vote. Kaleida said board member Cynthia Falls, who did not attend the policy committee meeting, asked Kaleida to indicate she is in favor of Brown’s proposal. Board member Terry Kennedy said she brought the issue to the board for action when she served as chair of the safety committee in 2017. At the time, she said she found a 2016 letter from the Pittsburgh Federation of Teachers [PFT] executive committee, asking for the board to approve the change. Kennedy pointed to the fact that a number of other local districts have added armed officers to their schools and that she has spoken to students who are afraid at school. 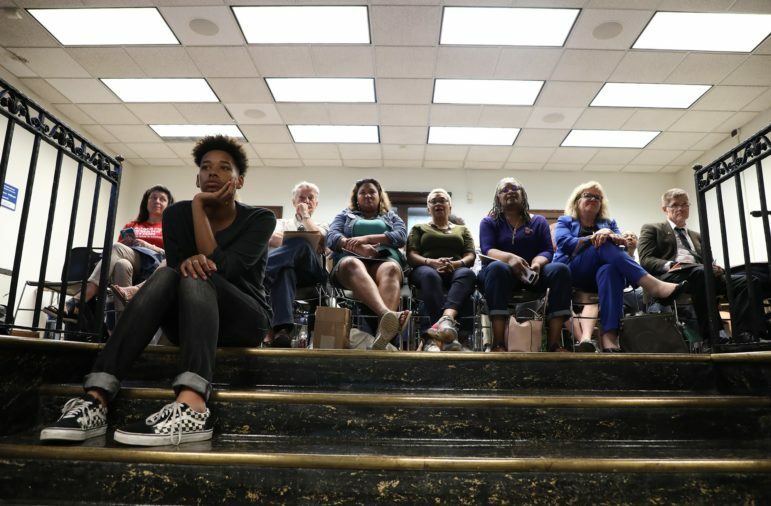 There was no public comment taken at the committee meeting but several dozen people attended, cheering and snapping their fingers at times when board members expressed their opposition to arming school police. The Education Rights Network and the Pennsylvania Interfaith Impact Network oppose the proposal. Christian Carter, a recent graduate of Pittsburgh CAPA 6-12, said he plans to attend the public hearing. Teachers who have concealed carry permits shold be allowed to carry on the job. They passed all the checks. A school security guard can’t be everywhere, and if teachers choose to carry no one knows who is armed. Ideal situation. If the teachers are not trusted then they shouldn’t be teaching.